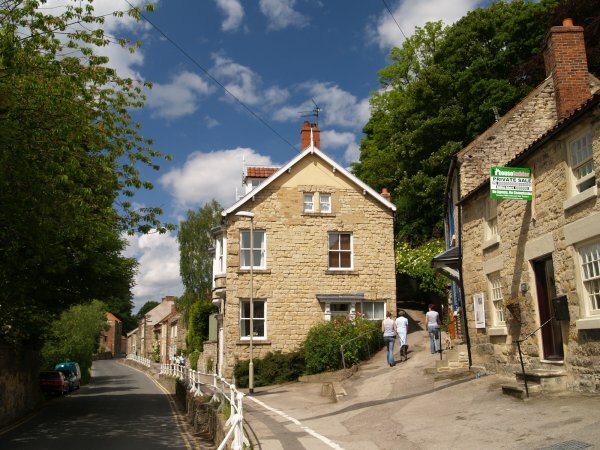 From Park Street, the path on the right leads upto the castle. 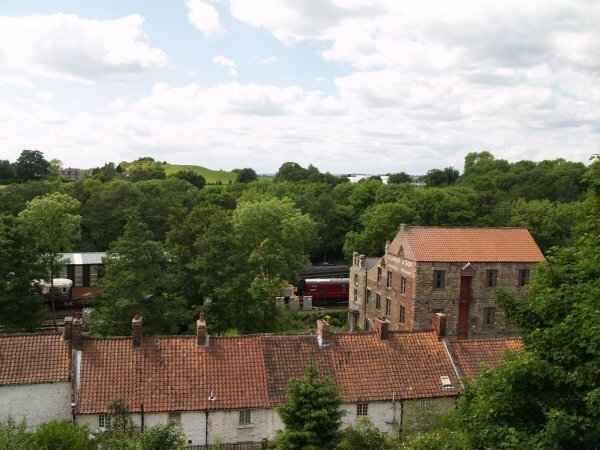 At the top of the path your look out over the NYMR railway and the old warehouse of W. Lumley & Son, Agricultural Merchants on the right. 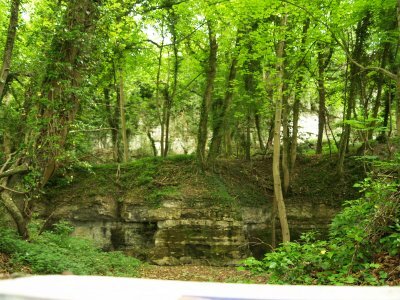 The small hill on the distant left is Beacon Hill, probably the original Norman Motte before the grand castle was built. 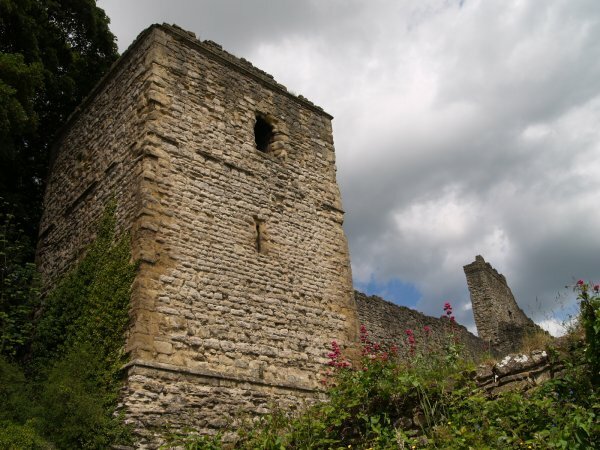 The imposing south-west tower of Pickering Castle. 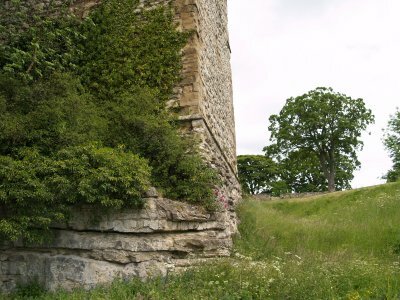 There is a footpath you can follow that runs north to the west of Pickering Castle and you see that it is built on firm natural limestone foundations and quarries that have been used since medieval times to build the castle and buildings in the town. 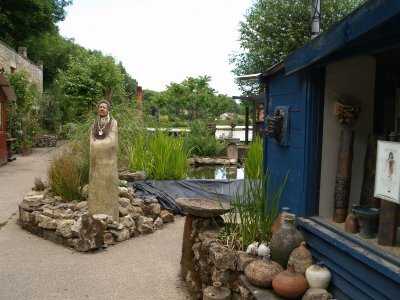 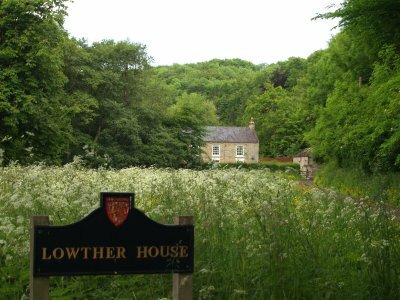 Lowther House near New Bridge and a pottery with a strange collection to view from the footpath. 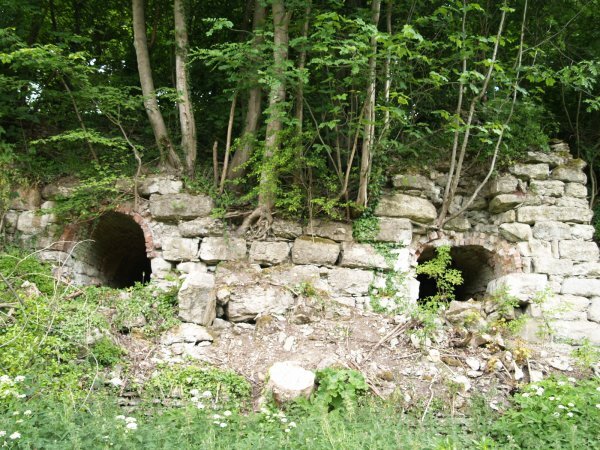 Old limekilns in the north-west area of Pickering Town. 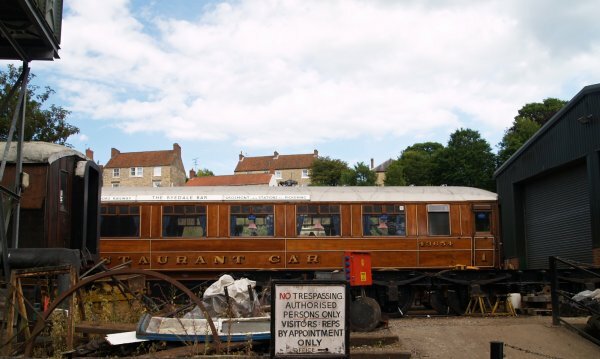 Part of the restoration workshops of the NYMR railway by Pickering station, above is an old grand NER coach being prepared for many future years of service! 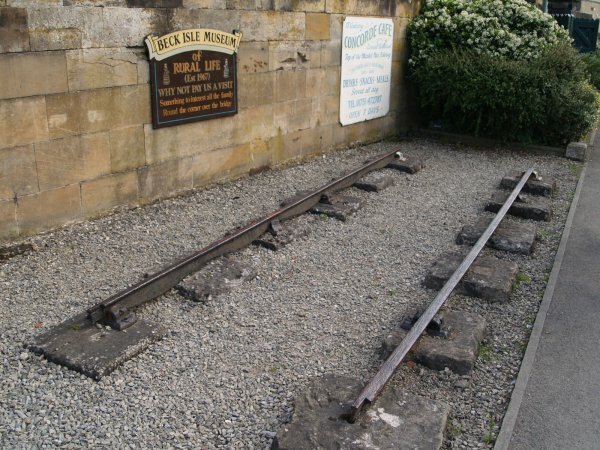 A short surviving section of track from the original Pickering-Grosmont Railway from the early 19th century at Pickering station. 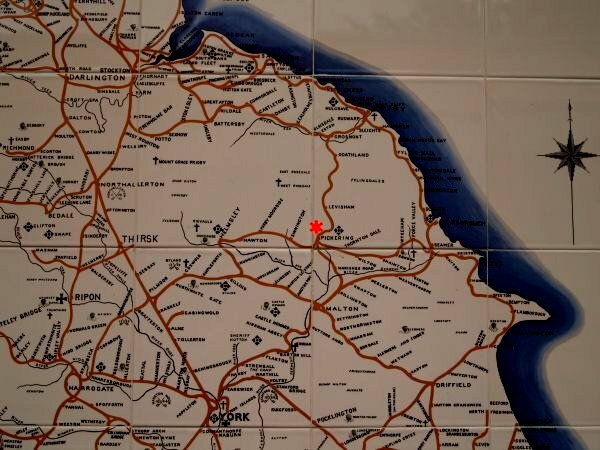 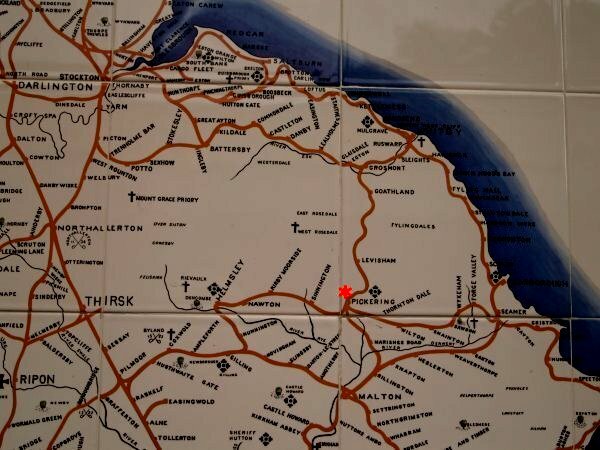 South of Pickering station is one of the old NER goods sheds which has been converted to a hair dressing salon! 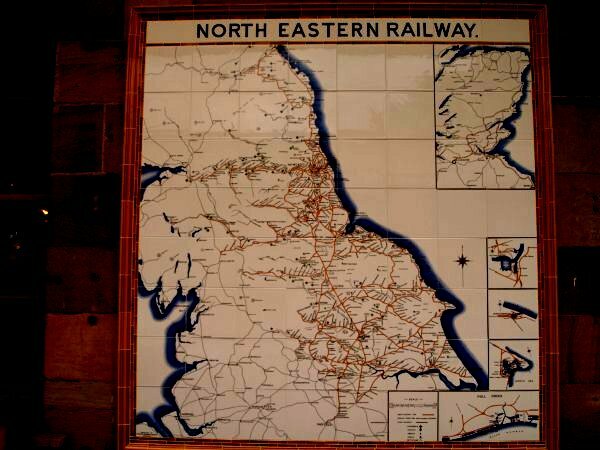 The NER and LNER built in style, not realising the future use of these solid stone buildings! 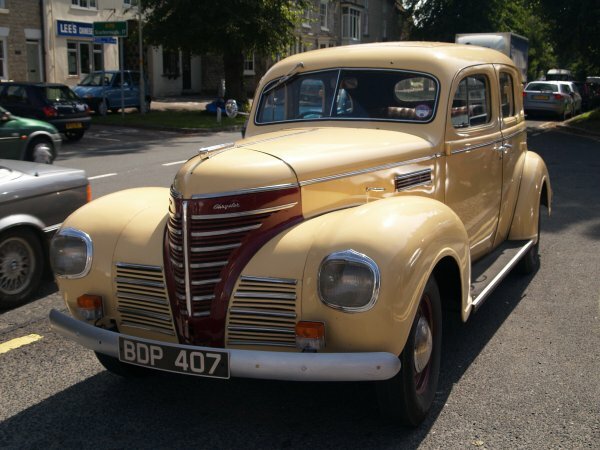 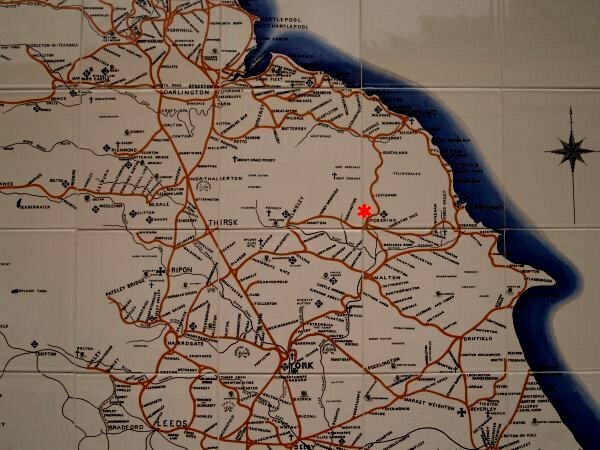 The motor car BDP 407 parked on the A170 main road! 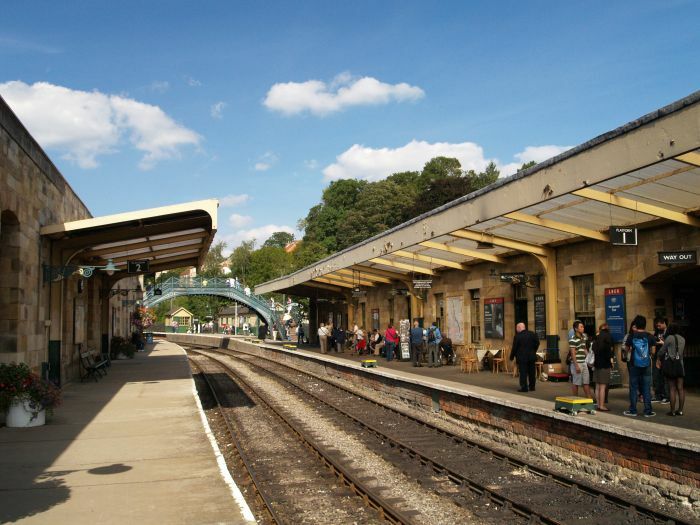 North Yorkshire Northern England * docspics photos images pictures © Phil Brown * Tourist information Top tourist attractions, holiday cottages luxury hotels, B&B, pubs, restaurants, historic towns, museums, weekend-breaks European Rail tours US and Canadian Railway travel holidays special steam excursions A great steam heritage line and offers luxury Pullman coach dining trains Travelling by train always seems a pleasure, especially if through wonderful scenery either in England, Scotland, Wales or on holiday in the rest of the railways of Europe! 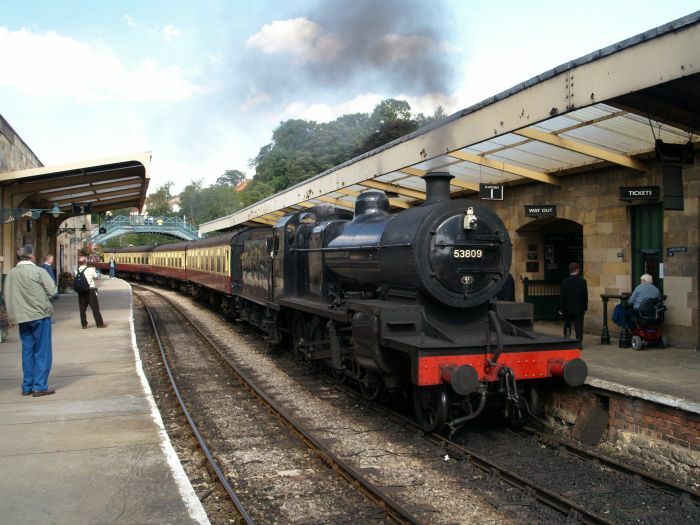 The railway trip involves seeing or travelling behind a 'real' steam locomotive in action and there is nothing like the sight and sounds of a steam train to invoke feelings of nostalgia in some of us, even more luxury by having a special trip out on a steam dining train!